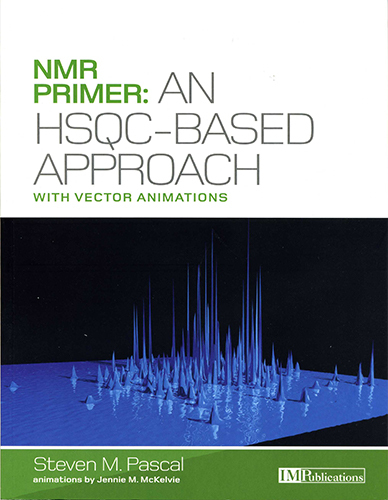 NMR Primer: An HSQC-Based Approach has one aim: to explain the key two-dimensional protein NMR experiment, the 1H,15N-HSQC, along with variants and extensions, in a generally accessible manner. Vector diagrams of one-, two- and three-dimensional pulse sequences are provided, along with accompanying animated versions. The animations in NMR Primer: An HSQC-Based Approach allow the evolution of net magnetisation during the course of the experiments to be visualised and directly compared with the corresponding spin operator terms. 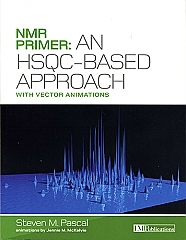 In this book there is a brief introduction to spins, populations, the NMR experiment and relaxation is provided. Evolution due to J-coupling is next described and used to explain magnetisation transfer in the HSQC experiment and several variants. The extraction of structural, sequential and dynamic information is then illustrated via various extensions of the HSQC. Extensive footnotes and appendices introduce several more advanced concepts, such as sensitivity enhancement and the TROSY effect. Dr Pascal is a Senior Lecturer in Physics and Director of BioNMR Research at Massey University in Palmerston North, New Zealand. Previously, Dr Pascal was an Assistant Professor of Biochemistry and Biophysics at the University of Rochester Medical Centre, a postdoctoral fellow at the University of Toronto and Hospital for Sick Children and a PhD student in Molecular Biophysics at Florida State University. Jennie McKelvie initially trained as a veterinarian. She became a secondary school teacher (physics,science, biology) and completed her BSc and DipSc in Mathematical Physics. Jennie currently works as a Senior Tutor at Massey University, where she teaches physics to Pre-Vet, Applied Science and International Students, and has a particular interest in developing materials for on-line education.